In this post, I will present an analysis of the main types of accommodations for tourists in Russia and what criteria to follow when choosing from among them. 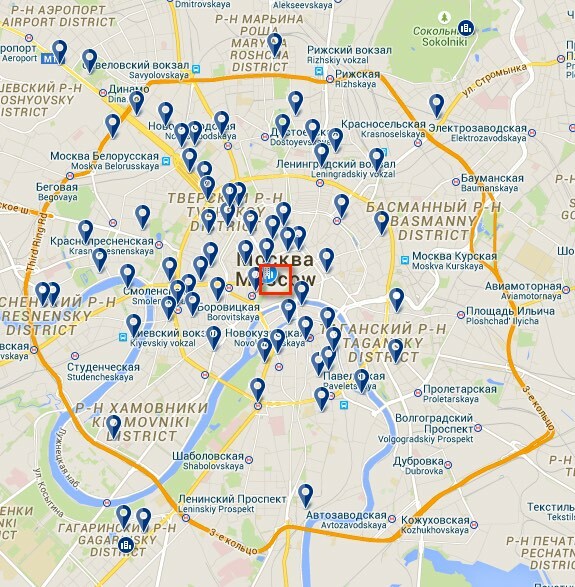 I also explain how Russian web booking platforms can find the best prices for your hotel stay. One of the most important parts of any trip, and one that often makes up half the cost of the trip, is the choice of accommodation. Good accommodations can make your trip memorable, while bad accommodations can ruin it entirely. In Russia you can find both excellent accommodations and horrible ones (I think more often than in USA or Canada) as well. Fortunately, major online booking platforms include many reviews that allow travelers to easily avoid choosing bad accommodations. In this post I try to analyze the main types of accommodations that exist in Russia and that I think are the most interesting when you are sightseeing on your own. 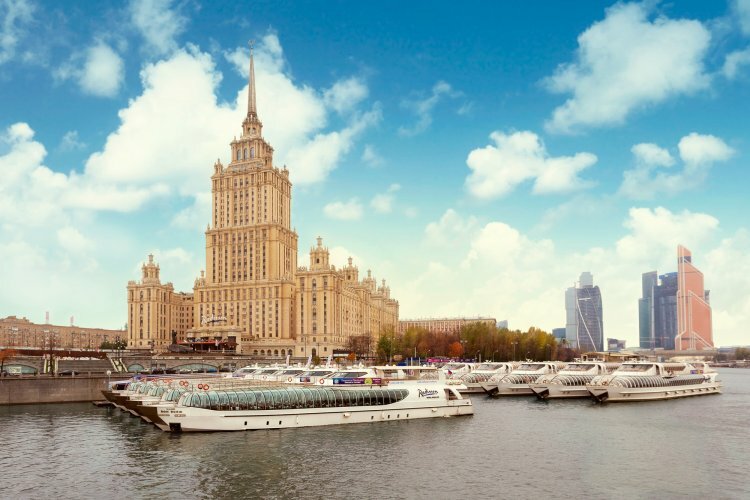 I also try to explain the criteria that I usually follow when choosing and booking lodging on the trips that I myself have had to organize for family and friends visiting Moscow and St. Petersburg. The best option for making your reservation is usually a Russian platform similar to Booking.com. There are different levels of accommodations when staying in large Russian cities, each with its own characteristics and prices. The three main types of options, depending on your budget and the amenities you desire, are: hotels, tourist apartments and hostels. In Russia you can find both internationally renowned hotel chains, such as high- quality international chains as well as excellent local hotels that do not belong to any chain. In recent years, major 3-5 star international hotel chains have proliferated. 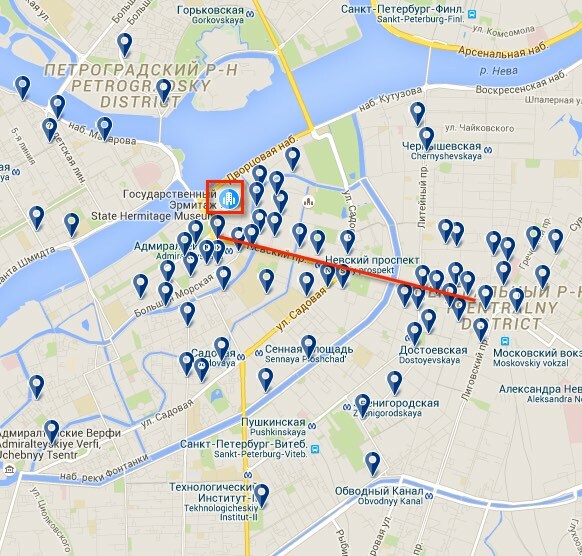 They are often located in downtown areas and mainly distributed in Moscow, St. Petersburg and Sochi. Accor Hotels. French hotel chain that has spread quickly throughout Russia in recent years. Already has 23 hotels and plans to have more than 80 in 2020. This group operates under the commercial brands Mercure, Ibis and Novotel. Personally, it is one of my favorite options since it has options for all price points and in great locations. The Carlson Rezidor Hotel Group. American hotel group that, by the end of 2014, had 30 hotels in major Russian cities under brands such as Radisson and Park Inn. Another excellent choice for hotels. InterContinental Hotels Group. A British chain with 15 hotels under the brands InterContinental, Holiday Inn and Crowne Plaza. 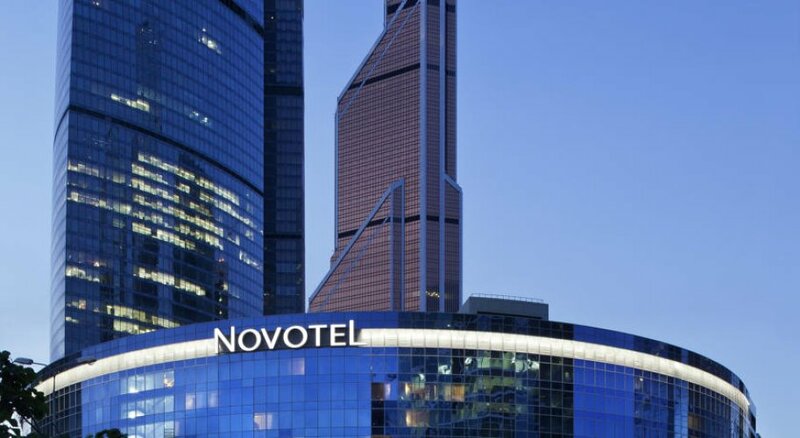 Other chains in Russia include Marriott, Hilton, Best Western, Hyatt, Swissotel, and Lotte, a Korean hotel group whose only 5-star hotel in Moscow is the highest rated of all Russia by TripAdvisor users. Besides the large international chains, there are also some major Russian hotel chains that also operate in other countries, such as Azimut Hotels Group or Intourist hotel, owner of the legendary macrohotel Cosmos, located northeast of the Russian capital and built to meet the demands of the Olympics Games in Moscow in 1980. Alongside these large hotel chains, there are a number of local 3-5 star hotels that do not belong to any hotel chain, or so-called mini hotels. As in major US cities, tourist apartments have proliferated in recent years in Russia. This is a good way to travel if you go with family or a group of friends or if you’re going to Russia for a more extended stay. They are located near the city center and are usually very well equipped. In many cases these are apartments that have been renovated in old, Soviet-era buildings and are managed as tourist accommodations. While the interior of the apartments is usually pretty good (some are pretty luxurious), the buildings exteriors are often very neglected and damaged. Therefore, you often will not find published photos of the facade or interior courtyards of these buildings when researching this option online. There are several local rental platforms, such as LikeHome tourist apartments, although there is also the option of staying in apartments through the Airbnb American platform. For younger people, such as students, or for people traveling alone, hostels are a good option. 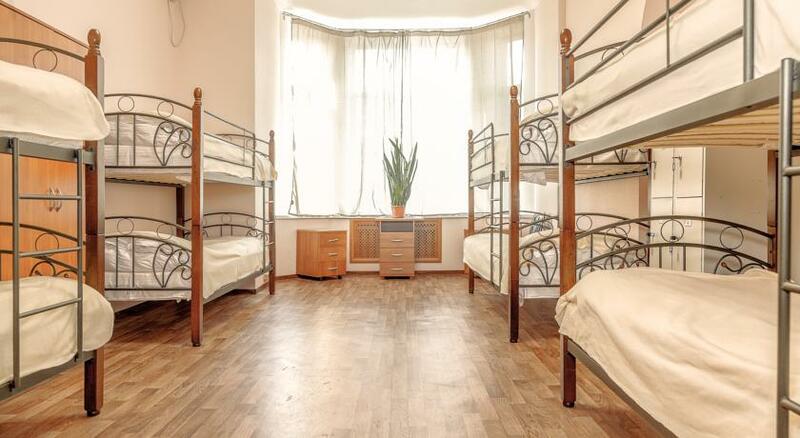 Hostels usually offer bunk beds and shared bathrooms. This is a form of cheaper housing, designed as a place to meet people from around the world. They are usually very well located and some of them are very highly rated by their guests. You can usually stay in these types of accommodations for very affordable prices (less than 10 dollars per person per night). Personally, I look at four main points when booking accommodations: that they are well located and have easy access to public transportation; price; that they allow for free cancellation up until the day before the trip; and that they have good reviews from other visitors. If you’re a tourist in Moscow, I advise that you stay in a central area that is located within the first ring of Moscow and is located near a subway station. The ideal is to be able to walk to the Red Square in about 30 minutes or, at least, to have a metro nearby. One area that I particularly like, although it is more expensive, is Arbat, whose heart is Arbat Street, which is surrounded by historical buildings and is itself another major tourist attraction. This area also includes the Tverskoy neighborhood near the Red Square and is characterized both by old architecture and new business areas. In St. Petersburg it is also advisable to stay in a central area that is located close to the Hermitage Museum or Nevsky Avenue, from which to access most tourist attractions on foot. These include the Peterhof Palace, which you can access by boat from the pier opposite the Hermitage (although you can reach it by bus much more economically). Everyone’s budget is different. Obviously it will be more expensive to stay closer to the city center and during the summer time. Prices vary widely and can range from 10 dollars for a night in a hostel, to 300 or 400 dollars for a double room in a five star hotel downtown such as the Lotte Hotel Moscow. 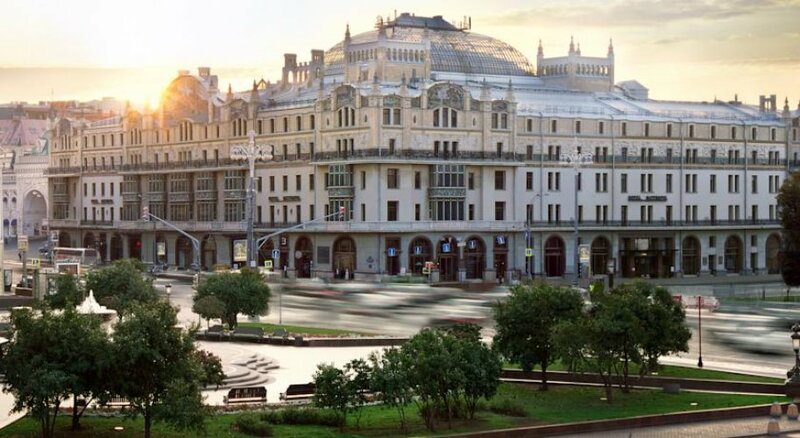 Although it should be noted that the 5-star hotels in Russia often do not have the same level of quality that you can find in USA or Canada, you can find well located 5 star hotels at fairly reasonable prices (less than 100 dollars for a double room). The average price of 3 and 4 star hotels would be between 60 and 180 dollars, depending on the location and amenities offered. Regardless, it is always good to compare prices at several hotel booking platforms and reserve the hotels via one of these pages. Below I explain how you can find very good deals on Russian web platforms (like Booking.com). I always try to book accommodations that allow free cancellation until shortly before arrival. You never know what can happen when you are planning a trip well in advance. Also, if later on you find a hotel that you like more, you can always cancel your hotel and book a new one. You should bear in mind that even though you have to list the hotels where you will be staying in advance, as part of the visa application process (they should be listed in your letter of invitation or visa support), nothing happens if you decide to cancel your hotel reservation and book another. There may be many reasons to do this and you do not have any reason to be tied to a hotel. However, do keep in mind that the reservations that allow you to cancel can be more expensive than firm, prepaid reservations. Before exploring a hotel option in more detail, I always read the opinions of other guests. Their reviews can give you clues as to whether the customer service is good, if the hotel is clean, if the food is good, if the wifi reaches the rooms, or if the hotel is quiet or noisy. In this regard, booking websites with the highest number of guest reviews are the best and this is why, to me, Booking.com is a great website to use. Classic reservation platforms such as Booking.com, Hotels.com, etc. allow you to book all types of accommodation: hotels, hostels, apartments, etc. Platforms for making reservations with international hotel chains: Accorhotels, Radisson, Intercontinental, etc, where you can book rooms from the aforementioned chains. Websites and booking for tourist apartments such as LikeHome or community markets for reserving apartments such as Airbnb. Russian hotel reservation platforms. The most used by the Russians to travel within the country are Ostrovok (in Russian and English) and Oktogo (only in Russian). Ostrovok usually has very good deals and I recommend that you at least consult this site before choosing accommodations anywhere (it includes options for accommodations in USA, Canada, or any other country). It is always good to consult more than one platform and compare prices. I recommend using two: Booking.com and Ostrovok. The first will allow you to read reviews from other Italians and tourists and Ostrovok should be used for the actual online booking since prices on this platform are often much cheaper than you will find on Booking.com. There are many different types of accommodations where you can stay during your visit to Russia: hotels, whether international or local chains; tourist hostels; or apartments. The choice of one or the other may depend on many factors: budget, number of people, age, personal preferences, etc. A great option is to stay at hotels in any of the international hotel chains in Russia. Some of these chains, such as Accorhotels, have several options (Mercure, Novotel and Ibis) in various price ranges depending on the level of amenities offered. The same is true of the Radisson Hotels. There are also many good 3-5 star Russian hotels in the city centers. Before making your choice, it is always good to read the opinions of other visitors. For larger families or for extended stays, apartments can be a good option, while hostels are a good choice for young people, students or solo travelers looking for something cheap but well situated in the center. In any event when booking a hotel, it is always important to read the opinions of other visitors and compare prices between different platforms such as Booking.com or Ostrovok so that you can find better deals. 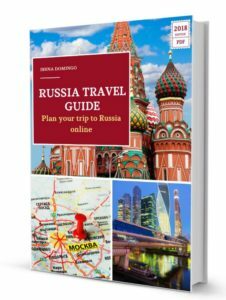 I hope this article has helped you to choose the best accommodations for your stay in Russia and at the lowest price.